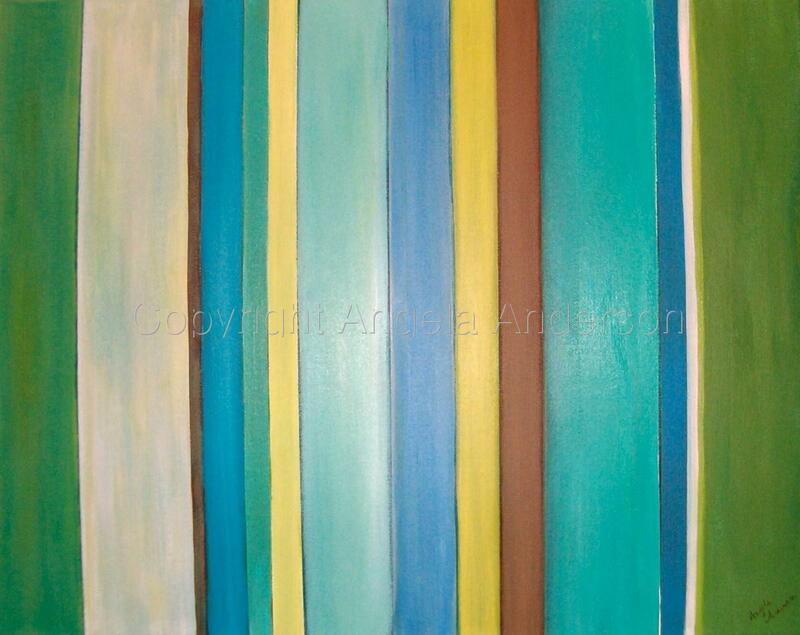 Modern stripes in aqua, green, brown, white and blue. Gallery wrapped canvas. Two part series. Signed on corner so it can hang in either direction.